I’m sure you all saw the news yesterday… Apparently, flossing is no longer encouraged by the medical professionals in our country. This, of course, left non-compliant patients around the world rejoicing, “I finally don’t have to feel guilty about not flossing!” As soon as I saw these articles circulating on the web and after the stories had been shared thousands of times on Facebook, I knew I had to write a blog for our Sugar Fix Dental Loft fans responding to the news! I do agree that there should be more studies done in order to prove (with concrete numbers) the benefits of flossing, although dental professionals can see these benefits and don’t necessarily need studies or numbers to convince us. It is important, however, to have these facts available in order to verify our recommendations to each and every patient. 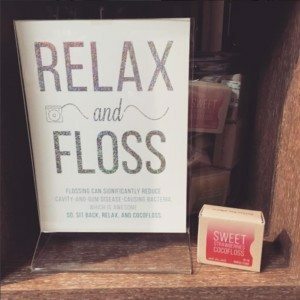 Dr. Jessica Emery and I do not make our Sugar Fix guests feel guilty if flossing is not in their daily routines, but we do strongly encourage them to break old habits and FLOSS for their own good! The benefits are extensive, and the downsides of not flossing are equally as encompassing. Photo courtesy of our friends at the American Academy of Periodontology! If bacteria under the gum line are not removed, this bacteria can spread into the bloodstream and lead to problems outside of the mouth. 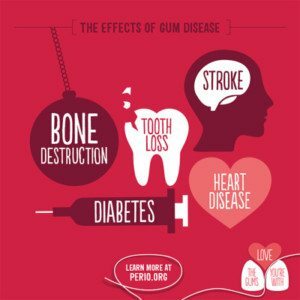 Inflammation of the gums, according to the AAP, is a main factor for patients who are susceptible to developing diabetes, heart disease (including stroke), respiratory disease, osteoporosis, and some cancers (specifically kidney, pancreatic, and blood cancers). Why take the risk of developing or worsening these diseases if it only takes a couple of minutes a day? You brush your teeth with fluoride-rich toothpaste in order to prevent cavities, so why not floss to prevent gum and bone disease (as well as cavities that can form in between the teeth)? Cocofloss is one of our favorite, fun products! If you’re wanting solid facts and numbers, we cannot give those to you yet. The problem is that we do not have enough conclusive, concrete studies, and this is partially due to the fact that most Americans do not know how to floss properly. To be honest, I didn’t know how to properly floss until I took a fundamentals class in dental hygiene school… So, unless you’ve also been to hygiene or dental school, chances are that you don’t know how to perfectly floss, either! That is, unless you have a fabulous dental team that has taught you (props to them)! For the time being, you’ll just have to trust professionals in the dental field when we say that we can see the benefits of flossing because we want you all to live happy, healthy lives! That’s all for now! Please watch this video of Dr. Emery and I discussing one of our favorite products, Cocofloss! It tastes wonderful and can make flossing FUN! We, also, discuss proper flossing technique, so check it out! Thanks for reading, and keep smiling! !